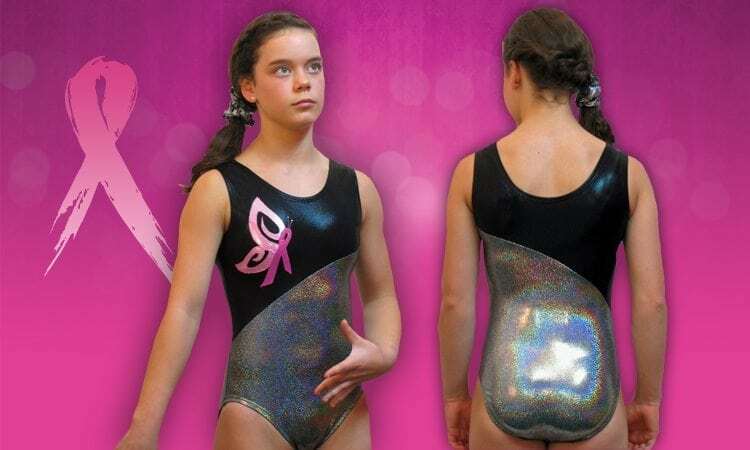 Customize a leotard for your cause! 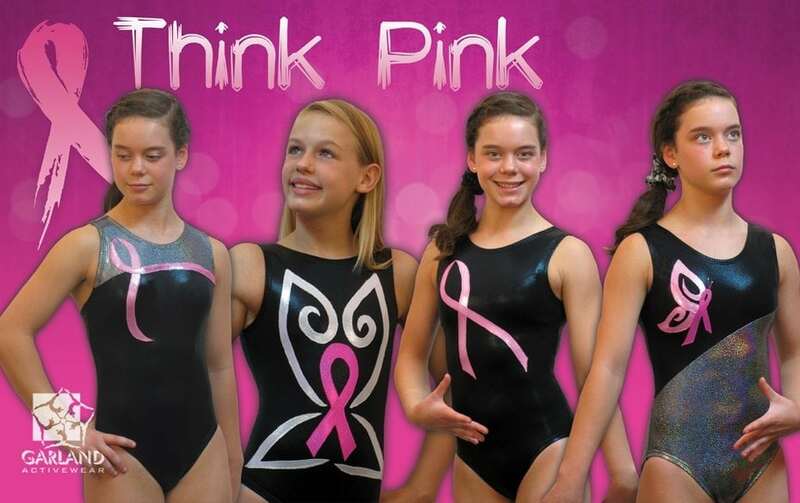 Select one of our inspiring leotards, or design one specifically for the cause that is most important to your gym or team! Contact us using the form below, or call us at 1-877- GARLAND today to design your leotard. Show your support for breast cancer awareness with a Garland Activewear Think Pink leotard. Select one of our many inspiring styles or design your own. Hope Shines – Black nylon base with hot pink multi mystique binding around the neckline and a uniquely designed ribbon applique that wraps around from front to back. Clear crystals outline the ribbon shaped applique on the front. Includes coordinating scrunchie. Butterfly Hope – Silver multi mystique with black mystique shoulder and pink mystique butterfly ribbon applique. Includes coordinating scrunchie. 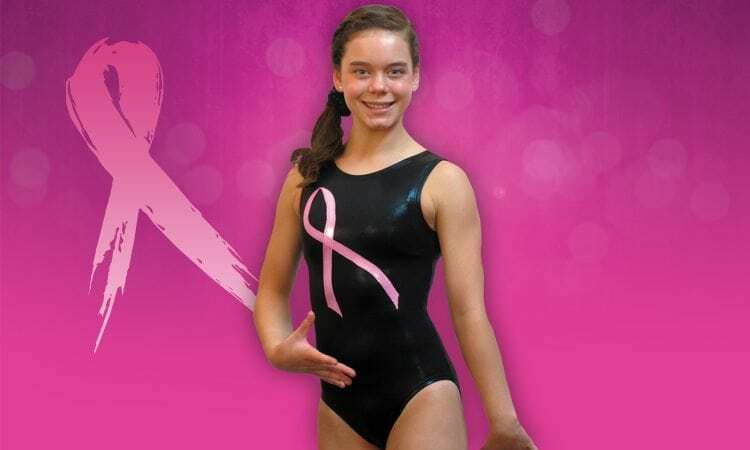 Hope Leotard – Hope for the cure in this black mystique leotard with bubblegum pink mystique appliquéd breast cancer ribbon and rhinestone “hope” appliqué at the hip. Includes coordinating scrunchie. Pink Ribbon Racerback – Black mystique base with silver multi mystique neckline and pink mystique ribbon applique in our best selling racerback silhouette. Includes coordinating scrunchie.